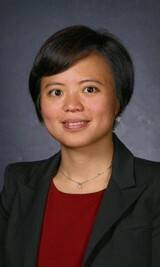 Prof. Shen’s research derives multifaceted mathematical optimization models for decision making under data uncertainty and information ambiguity. The models she considers often feature stochastic parameters and discrete (0-1) decision variables. The goal is to seek optimal solutions for balancing risk and cost objectives associated with complex systems. She also develops efficient algorithms for solving the large-scale optimization models, based on integer programming, stochastic and data-driven approaches, and special network topologies. In particular, her research has been applied to cyberinfrastructure design and operations management problems related to power grids, transportation, and Cloud Computing systems. 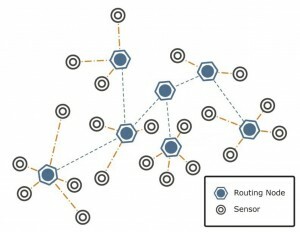 A sensor monitored network for research allocation and routing in highly uncertain environments (e.g., post-disaster delivery, highly congested traffic system, or high-demand computing network). The network is structured by solving a general mathematical optimization model.